JAI has introduced four new prism-based color line scan cameras in the company’s Sweep+ Series, featuring 2048 pixels, scan rates up to 80,000 lines/s and high-end color image quality. Based on a combination of JAI’s well-known prism technology, a specially optimized JAI lens and CMOS sensors with large 20 µm x 20 µm pixels, the four new color line scan cameras deliver high-end color reproduction, RGB color alignment, edge sharpness and outstanding signal-to-noise ratios. The camera models SW-2000T-CL and SW-2000T-CXP2 are 3-CMOS RGB cameras featuring 3 x 2048 pixels with Camera Link and 2-channel CoaXPress interfaces, respectively. The other two models, the SW-2000Q-CL and SW-2000Q-CXP2, have four prism-mounted CMOS sensors, with the fourth imaging channel designed to capture the NIR light spectrum simultaneously with the RGB channels. The 4-CMOS models are also available with either Camera Link or 2-connector CoaXPress interfaces. The high sensitivity pixels (20 µm x 20 µm) make the Sweep SW-models capable of capturing an acceptable exposure at 4 times the speed of a camera with only 10 micron pixels. The SW-models can scan up to 80,000 lines/second making them ideal in industrial applications requiring high speed process inspection. 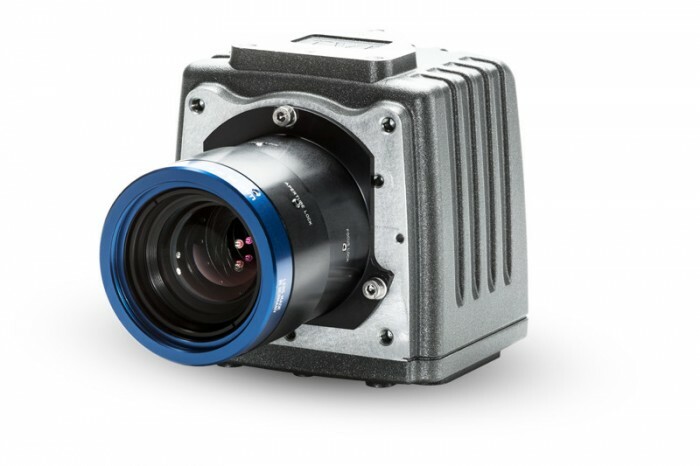 The cameras deliver outstanding signal/noise ratios (for outstanding color image quality) due to a large 400 µm2 light collection area per pixel, and large pixel quantum wells (with as much as 360k electrons). The SW-models can run in two sensor modes – a higher dynamic range mode and a responsive mode. When set to the higher dynamic range mode the quantum well will be filled up with as many as 360k electrons, providing images with higher signal/noise ratios and higher dynamic range (better image contrast). In situations where less light is available, the camera can be set to the responsive mode. In this mode, the camera is set to a smaller quantum well (60k electrons). This enables the well to fill faster under scarce lighting conditions enabling it to maintain its speed while providing a higher response on the grey scale. The shutter time for R, G, B and NIR channels can be set individually providing an opportunity to adjust the light collection amount for each individual color band, to refine selected image details.